Atco have been manufacturing fine quality mowers for the lawns of Great Britain since 1921 and have earned an enviable reputation for outstanding quality and performance. Our lawn mowers can be found from royal palaces to village greens, cricket pitches to tennis courts, stately homes to your own beautiful lawn. We are very proud of our heritage and the fact that we have been manufacturing outstanding lawnmowers for more than 90 years – helping owners maintain their lawns and providing the finest cut of all. We make no compromise on our engine choice either, only using engines from the finest engine manufacturers in the world; Briggs & Stratton, Honda and Kawasaki. Our network of specialist Atco dealers throughout the UK will be happy to assist you in selecting the most suitable lawnmower for your needs. When you receive your machine it will have received a careful pre-delivery inspection, been tested and safety checked by your Atco dealer prior to handover. 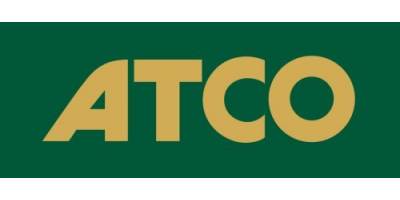 Atco dealers provide full after sales service and warranty support ensuring your peace of mind and many happy years of ownership of your Atco lawnmower.